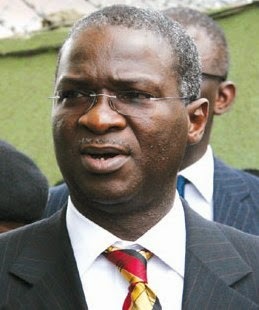 Speaking with Channels TV this evening, Lagos State Governor, Babatunde Fashola described today's action by the Nigerian Army as very disappointing, stating that they are public servants paid with tax payers money, so shouldn't behave in such a manner. He however said he's waiting for a formal report to know what really transpired. "I spoke with the Brigadier General who said he was managing and controlling the situation. Nothing I have yet is verified. I am waiting for a formal report before we then can ventilate a position. 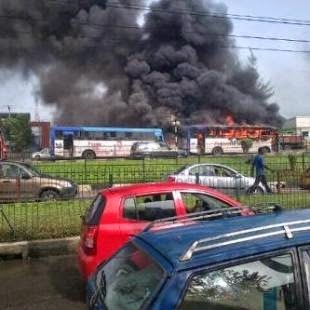 There is allegation that somebody who was not supposed to be on the BRT route was on the BRT route. As far as I know if something happens to you while you are conducting an unlawful act, it's a criminal offense in its own sense. Its really disappointing to put it mildly that public servants, and that is what soldiers are, paid with tax payers money will act in a manner that is being suggested here, and I say this being suggested because I am waiting for official report to let me know really who played what role, what happened, whether or not even the brigade commander has been able to identify the people who were involved...but if it turns out to be true, it would be a very very irresponsible conduct to put it very mildly" he said.